Converting MPC (Musepack) format into standard MP3 files requires that we don't lose quality during conversion. MPC is a high-quality format ensuring that there will be no audible difference between the MPC file and the original wave file. Of course we would like to keep the quality of our sound tracks, should we decide to convert them to MP3 and add to our music collection. 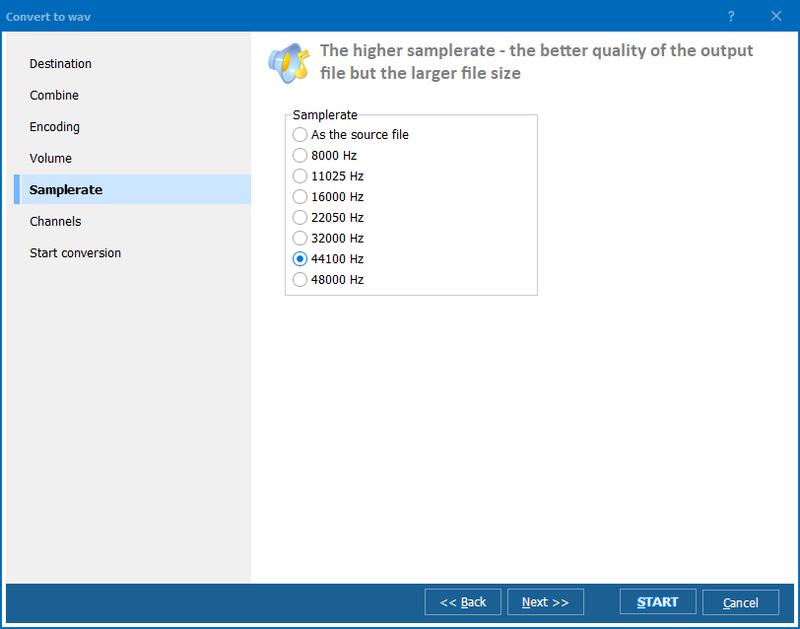 Total Audio Converter is a simple and effective solution, which allows you to convert MPC to MP3, choose optimum bitrate and frequency and keep the sound quality high. Unless you set bitrate and frequency to be too low, you won't be able to hear any difference. 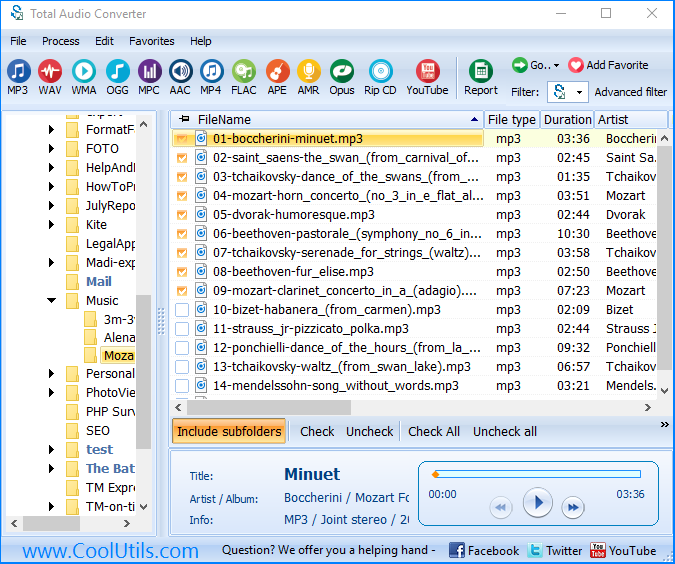 Total Audio Converter converts MPC to MP3 directly without creating any intermediate files. It guides you through the process and allows batch file conversion, so you can convert a huge collection of MPC audio files in a few clicks. "Thank you for the Converter. 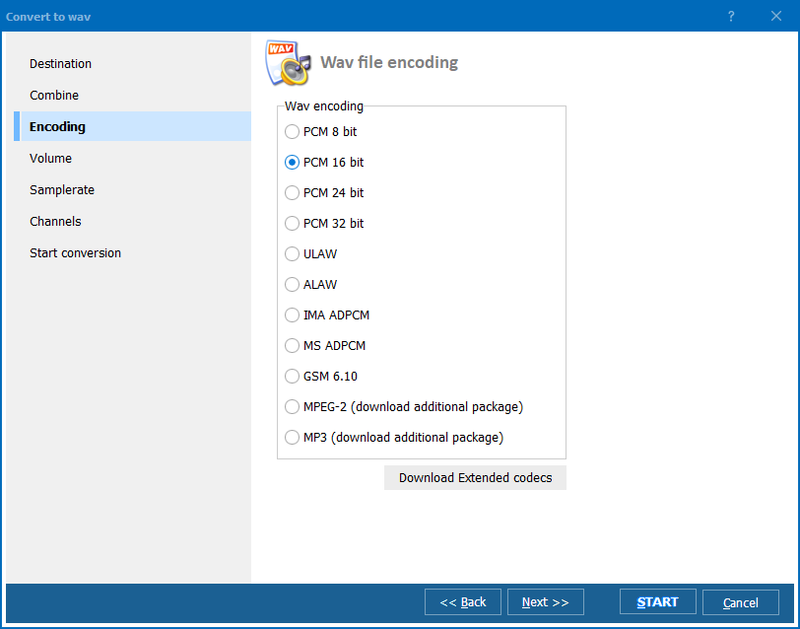 I had an emergency and couldn't send my files until I turned them into MP3, I purchased the program. opened it, and voila! less than 1 minute and I had my files as mp3 and was able to send my files for the audition on time.Thank you." By the way, what else do you need to enjoy your music?